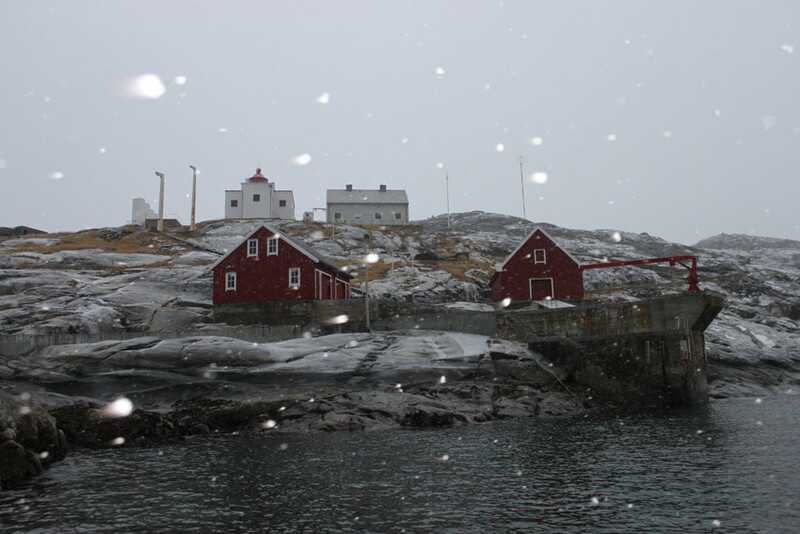 Bøkfjord lighthouse was established in 1910 in order to make the shipping lane to Kirkenes safer. The lighthouse was completely destroyed by German forces in 1944. After the war, it was rebuilt according to designs by Oslo-based architects Blakstad and Munthe-Kaas. The station today consists of tower, dwelling-houses, outhouses, boathouses and a landing. Ruins of a nearby German fortress include cannons, bunkers, trenches and machine gun nests. As the last in the country, Bøkfjorden lighthouse was automated and de-manned in 2007, and is today protected by the cultural heritage act.